Snag your seats for these live shows and concerts around Houston from Monday, February 11 through Sunday, February 17, 2019. 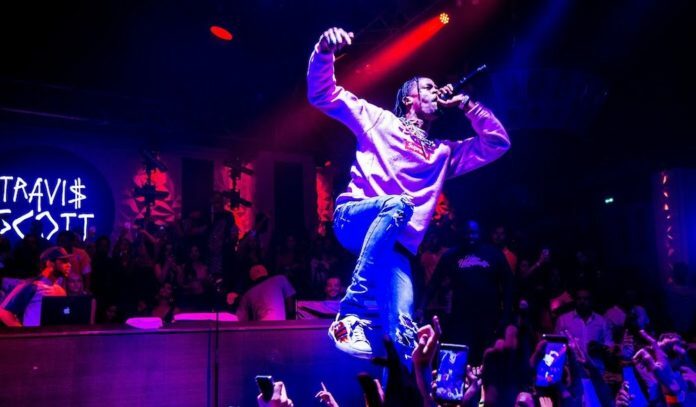 Hometown hero Travis Scott continues to blow fans’ minds with his Astroworld tour this week, while legends of country, new wave, and soul make stops elsewhere in Houston. In Flames, with All That Remains, All Hail The Yeti at House of Blues | Tuesday, February 12 – Heavy metal from Sweden lands in Downtown this week, with In Flames playing cuts from their upcoming March release, I, the Mask, and fan favorites from across their nearly thirty-year career. Tickets are $30. 7pm. G. Love & Special Sauce, with Ron Artis II & The Truth at White Oak Music Hall | Friday, February 15 – Coming through Houston with their special blend of “Streetside Blues” and hip-hop, G. Love & Special Sauce celebrate over 25 years of tunes with a stop at White Oak Music Hall. Tickets start at $35; VIP passes are available for $99 and include a pre-show group photo and Q&A opportunity. 7:30pm. The Kooks, with Barns Courtney, Future Feats at White Oak Music Hall | Saturday, February 16 – With their fifth studio album, Let’s Go Sunshine, hitting the airwaves in 2018, the English indie rockers known as The Kooks return to Houston. Tickets are $28. 8pm. Jonathan Richman with Tommy Larkins at The Continental Club | Saturday, February 16 – The one-time frontman for The Modern Lovers, Jonathan Richman takes his two-man show (with Tommy Larkins playing drums) on the road, delighting audiences all over with his genuine and heartfelt songwriting sensibilities that span multiple languages. Tickets are $15. 10pm. Rainbow Kitten Surprise, with Mt. Joy at Revention Music Center | Saturday, February 16 – With the release of their 2018 critically-acclaimed album, How To: Friend, Love, Freefall, the five-piece known as Rainbow Kitten Surprise bring honest, earnest songwriting that is both calming and heartbreaking at once. Tickets for the show are $30. 8pm. Charlie Wilson, with Kenny “Babyface” Edmonds at Smart Financial Centre | Saturday, February 16 – With nearly five decades of soul and R&B recordings under his belt, Charlie Wilson brings his smooth crooning to Sugar Land for a special Valentine’s Day concert with the support of Kenny “Babyface” Edmonds. Tickets range from $49.50 to $255.50, but you may find better or cheaper seats using the TicketNetwork online marketplace. 8pm. 2CELLOS at Smart Financial Centre | Sunday, February 17 – Luka Sulic and Stjepan Hauser burst onto the scene in 2011 on YouTube, as their innovative “Smooth Criminal” music video became a viral hit. Their show-stopping performance of pop music tunes with a cello twist hits the road, including a stop in Sugar Land. Tickets start at $29.50, but you may find better or cheaper seats using the TicketNetwork online marketplace. 7:30pm.